Section 60: 3rd Base Line Lower Level Seats! Join us for a fun family afternoon at Orioles Park at Camden Yards! 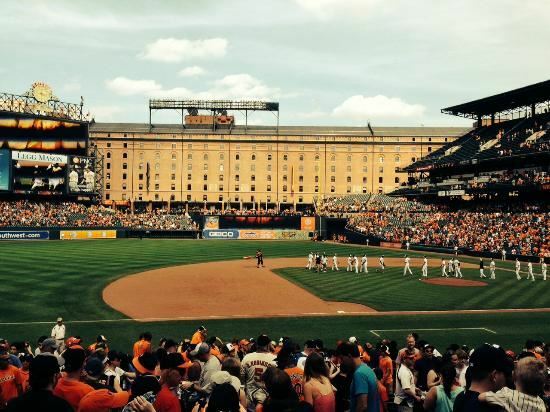 The Baltimore Orioles will take on the Boston Red Sox and we have 40 reserved seats in Section 60.
Who Should Attend? This event is open to all members, non-members, equipment managers, wives, children, staff, pros, gm's, owners and friends and family alike! This will be a fun family atmosphere and with a 3:05 pm first pitch there will plenty of time to prep your golf course, meet the family, have lunch, watch the ballgame and be home as the sun sets! We currently have 40 tickets reserved so be sure to sign up early! This is going to be a fun event and you will not want to miss it! Tickets: You should have received your tickets in the mail at the address we have on file. If you did not receive your tickets, please contact Tyler Eastham - teastham@gmail.com ASAP.